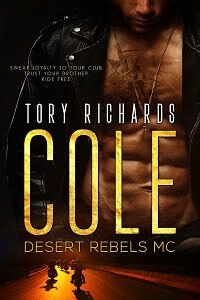 TORY RICHARDS: Party Starts Here! Want a chance to win a $100 eGift Card? It's easy! Attend the party for details. Nothing but Trouble here's a free coupon! Thanks for the book! I already have several of your books on my TBR pile, looking forward to reading! Hi Michelle, thank you for being interested in my books! Glad you made it by today. What's your favorite genre? Good luck and have fun. You're welcome Lagina! Enjoy it and thanks for coming by. Have fun, and good luck!